Sea of Calm was designed long time ago, in a hard time, when the sea wasn't exactly quiet and calm. But a good surfer looks for the biggest waves to be able to learn how to manage even the most difficult situations. Then they can relax and enjoy in a quieter sea and help others in any circumstances. The Sea is our mind. Our mind is our thoughts and emotions. Our true self is the paper boat, trying to control the thought waves of our wild mind. Patanjali defined in his book “Yoga Sutras",Yoga as the suspension of the modification of the mind. Yoga is a millenary science that studies the mind and his mecanisms with the objective to control the mind and finally transcend it, to be able to melt the mind with the true self, the spiritual self. In my personal search, I studied Psychology , a young science that as Yoga does, it tries to understand the mind and learn some tecniques to be able to model the thoughts and emotions, with the aim to find happiness and wellbeing. 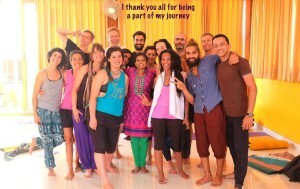 In the way, I travel to India to study yoga and I became Hatha Yoga teacher in the Sivananda Yoga Vedanta Ashram in Madurai, and an Ashtanga Vinyasa Yoga teacher , in Ashtanga Yoga Mysore, in India. 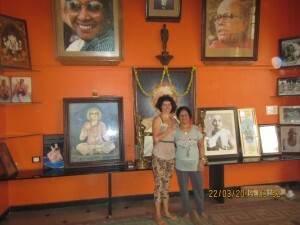 As well, I am a student of Saraswati, the daughter of Pattabhi Jois, the father of this tradition, in the K.Pattabhi jois Ashtanga Yoga Institute in Mysore, India. Was in Mysore where I found another of my life vocations, tibetan buddhism. Since 2015 I go every year to Dalai Lama philosophy & meditation tecniques teachings. Yoga Instructor. Casa de los Toruños. Oct 2010 - Jun 2011. Master’s Degree in deaf Comm., education and Catalan Signs lang. Post-Graduate "Social theater and Social-Educative intervention"
I try to approach the yoga discipline researching in its differents styles and forms, to be able to take the most of this knowledge and adapt it to the needs, capacities and motivations of each practicioner. It depends on your situation you will feel more atracted to one style than others. Come and try! 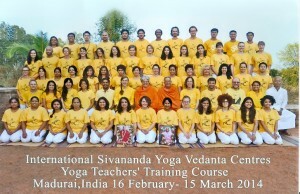 This lessons are based on the teachings of Swami Vishnudevananda. He created a secuence of 12 asanas that stimulates the central channel, from Sahasrara Chakra on the top of your head untill Mooladhara chakra on the base of your spine. This lessons are calmer with more focus on the breath and relaxation. Holding longer the asanas or phisical postures train your concentration and patience. This yoga style is ideal to train yourself for the meditation. We will practice the first serie of Ashtanga Yoga, a fix secuence as it is taught in KPJAYI, the indian school created by Pattabhi Jois. it is a dynamic yoga caracterized by its Vinyasas o breathing in movement. Instead of the relaxation as in a hatha yoga class, between posture and posture it is done the Vinyasas o movements flowing by the breath. The main goal is heat up the blood so its running faster along the body and cleanses the nervous sistem. This yoga style has the same origin than Ashtanga Yoga. 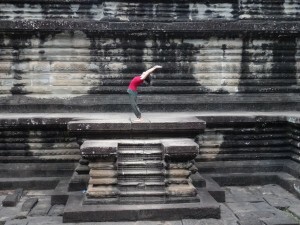 The Ashtanga yoga practicioners developed this yoga style in occident looking for more freedom. Both yoga styles follow the Vinyasa principle or breathing in armony with the movements. The difference is that in a Vinyasa class the movements are slower and free, you can create a dance and improvise the secuence. The result is different yoga lessons each time, allowing you to work a specific aspect of yoga in each class like balance, flexibility or strength. If you would like to assist to my yoga lessons join a Lucia Yoga Retreat! 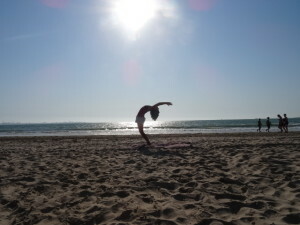 Lucia Yoga take the most of Andalusia, making different yoga retreats in different Yoga Retreat Centres of this beautiful Region on the south of Spain: Cádiz, Málaga y Granada. 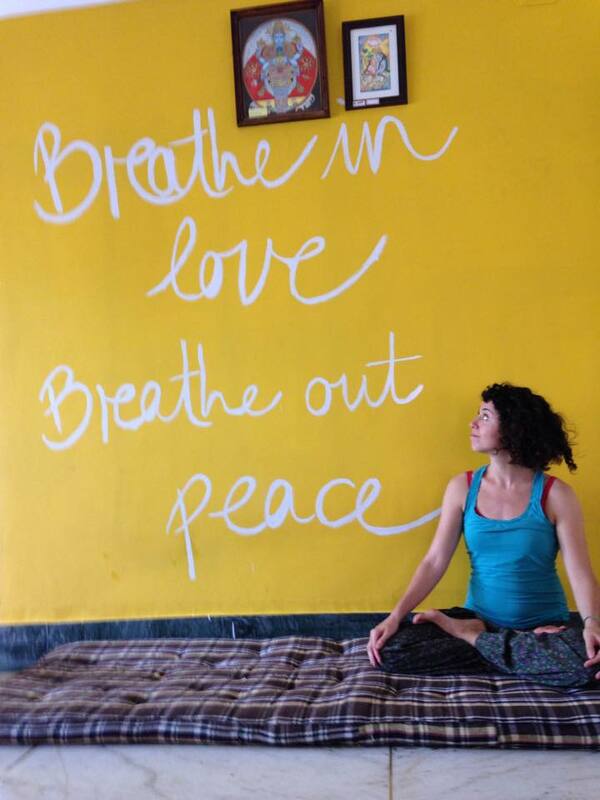 This yoga retreats usually starts on Friday evening and finishing Sunday moonday. You will be able to practice yoga several times a day, meditation, hiking, eating healthy vegetarian or vegan meals, relax yourself and have fun with new friends. Visit Lucia Yoga website for more information. 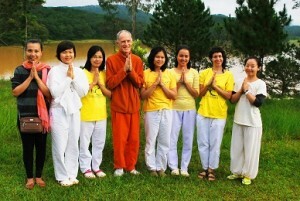 The weekly retreats are in cooperation with international guest yoga instructors for all over the world. 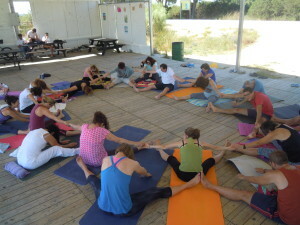 You will be able to deep into your yoga practice and enjoy a nice hollidays in a natural rural site. 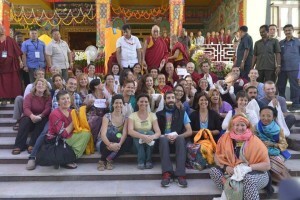 Get involved on the Spanish culture in a Lucia Yoga Retreat! 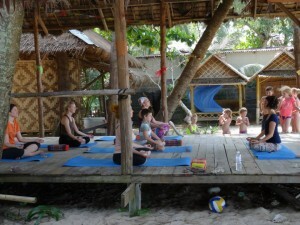 Visit Lucia Yoga Calendar with all our retreats.